SCB Legal is dedicated to demystifying the law by explaining all aspects of the legal system in a clear manner that’s simple to understand. We remove the legal jargon and ambiguity, so that you have all the facts presented easily and quickly. Providing useful legal links is one of the ways in which we achieve this objective. The internet is a fantastic resource and now more than ever, people have access to nearly all issues pertaining to the law. However, knowing where to look when stumbling across an enormous amount of resources is where it becomes difficult. Being well prepared is one of the tenets of the law. This is precisely why legal resources provide you with a wide variety of information even before you meet with your lawyer. In this way, it will make your first consultation that much more beneficial, as our knowledgeable solicitors will answer any questions that your research has presented. Has Your Research Left You With A List Of Questions That You Need Explained? SCB Legal is here to remove the legal jargon and provide you with answers. Call now to schedule a FREE appointment with one of our caring and patient lawyers! Haven’t Found What You’ve Been Searching For? 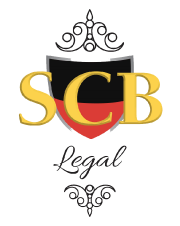 Contact SCB Legal and we will provide you with answers to your questions!